يقع في مولولابا, Bluewater Point Resort إنه المكان الأنسب لاكتشاف صن شاين كوست و ما يحيطها. لا يبعد الفندق كثيراً عن مركز المدينة، فهو يقع على بعد 5. Km منها. في حين يستغرق الطريق منها إلى المطار حوالي 15 دقيقة. يشكل هذا الفندق ملاذاَ مريحاً للاسترخاء ويمنح زواره فرصة للاستجمام والتجدد، وهو يقع على بعد خطوات من المعالم السياحية الكثيرة للمدينة كمثل: ستيف آيروينز, كروز اويه تورز ريفر, ذا وارف. إن الخدمات الممتازة وحسن الضيافة العالي في Bluewater Point Resort تجعل إقامتك تجربة لا تنسى. لضمان راحة ضيوفه، يقدم الفندق الخدمات التالية: مرافق مخصصة لذوي الاحتياجات الخاصة, واي فاي في المناطق العامة, صف السيارات, مرافق للشواء, جولات . تنعكس أجواء Bluewater Point Resort في غرف الضيوف.تلفزيون بشاشة مسطحة, غرف لغير المدخنين, مكيف هواء, تدفئة, شرفة/ تراس هي بعض الميزات الموجود في العديد من الغرف. يقدم الفندق مجموعة واسعة من وسائل الراحة المتنوعة، كمثل: حوض استحمام ساخن, مركز للياقة البدنية, ساونا, حمام سباحة خارجي, صيد السمك. إن Bluewater Point Resort هو خيار ذكي بالنسبة للمسافرين إلى صن شاين كوست، بما يوفره من إقامة هادئة ومرحة. يُرجى العلم أن مكتب الاستقبال يظل مفتوحًا حتى الساعة 5:00 مساءً من يوم الإثنين إلى يوم الجمعة، وحتى منتصف اليوم في عطلة نهاية الأسبوع. يُرجى من النزلاء الاتصال بالعقار مباشرةً لتأكيد موعد الوصول التقريبي قبل الوصول بـ 24 ساعة على الأقل. Bed was super comfortable and a plus. This is not a resort per se - they do not clean the rooms daily, something I would have expected for the rate paid. Staff communicated very well and were otherwise excellent. Apartment was very nice. Furnishings, etc were really good quality in our apartment. Every thing was clean and the view across the marina was really nice. Entrance to the property is really bad though. It shares entrances for and from other facilities and businesses, shocking really. The resort was great. 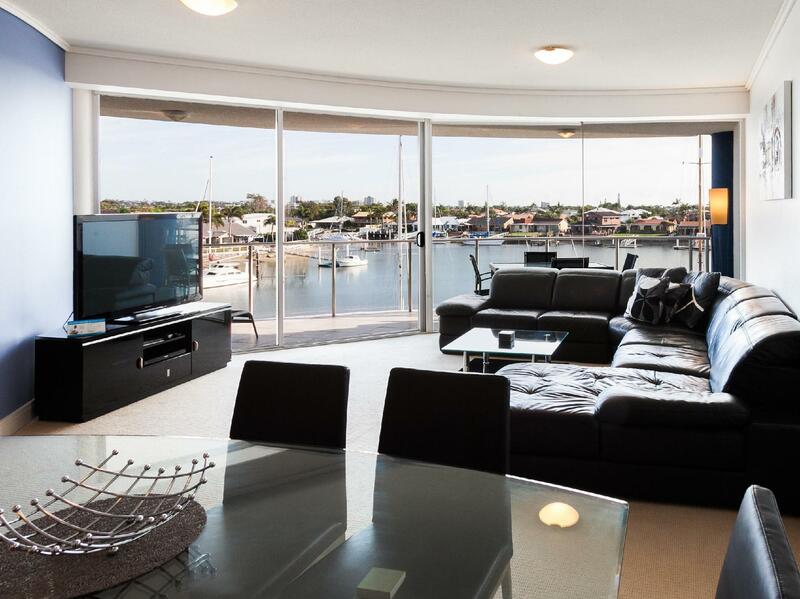 Great location, great view and central to anywhere you want to go on the Sunshine Coast. Great restaurants were only walking distance away, bars were close and the walks are think so you never hear anyone else in the rooms. I'd highly recommend a stay at Bluewater! High quality, awesome location. Could not find / phone manager in weekend. 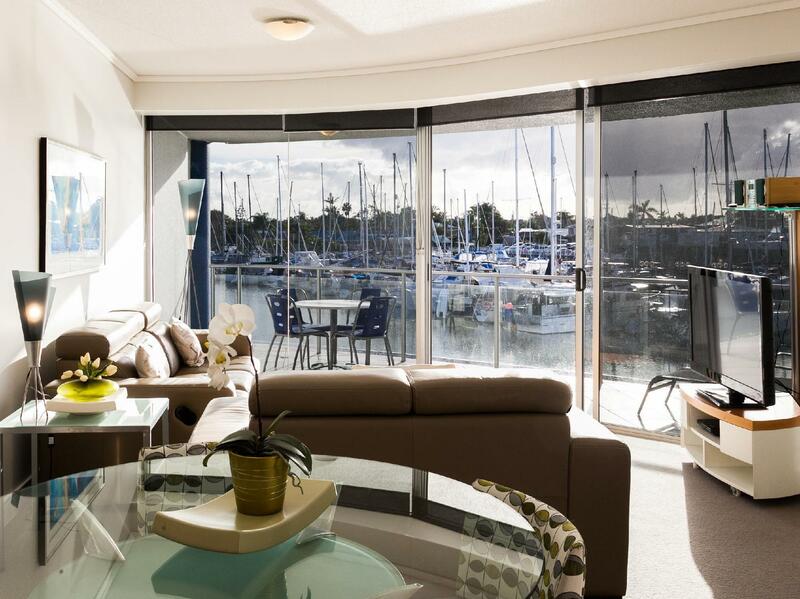 A stunning view from the apartment window onto to Marina. Good location for nearby shops and eating houses. Bluewater Point Resort is an excellent place to stay. To summarize, it is value for money, location, cleanliness, staff, facilities, etc. The furnitures, fixtures, appliances are of high quality. The view is beautiful and relaxing. The restaurants, shopping centre, are just walking distance but most of all the security is the most important thing. 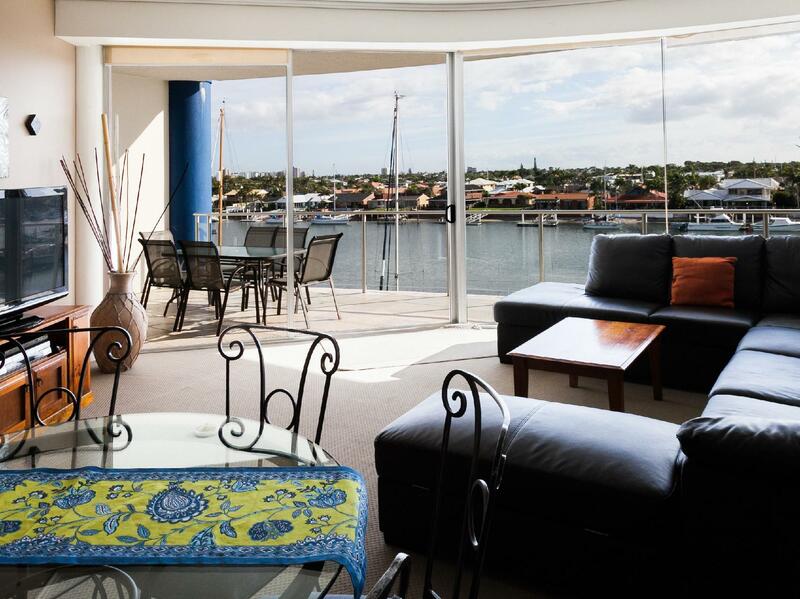 Nice a quite apartments a short ride from Mooloolaba. Worth paying a little extra for the last few says of our holiday. Nice unit.Spacious and very comfortable. King sized bed was luxury. All we needed and more. 2 bedroom room was clean and a good size, location is good, outlook is great, the only negative are the beds which are as hard as concrete. Based on the beds and lack of sleep I would choose somewhere else to stay next time. Perfect and highly recommended for any type of pole, families, single, group to go!! !